Rot, mold and gutter separation. These are three things you never want to have associated with an investment as valuable as your home. Did you know that most traditional rain gutters these days still employ the sure of spikes, screws and nails for attachment to your home? Using this technology can work for you in the short term, but in the long term, it will lead to rot, mold and gutter separation. The best way that you can avoid this triad of misery is to purchase a set of seamless rain gutters from Austin Gutterman. Austin Gutterman uses the SnapLock Gutter System, which features an innovative “No-hole” technology and uses no spikes or nails for attachment to your roofline. With SnapLock, there’s no need to penetrate the front or back of the gutter. The result is a watertight meshing of the gutter at the edge of your roof, creating a seal that prevents seepage, rust, rot and mold. 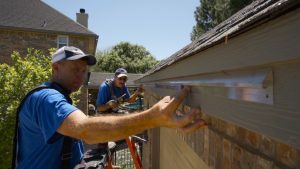 Best for your home (and ultimately best for your pocketbook) are a set of seamless rain gutters you’ll find from the professionals at Austin Gutterman. 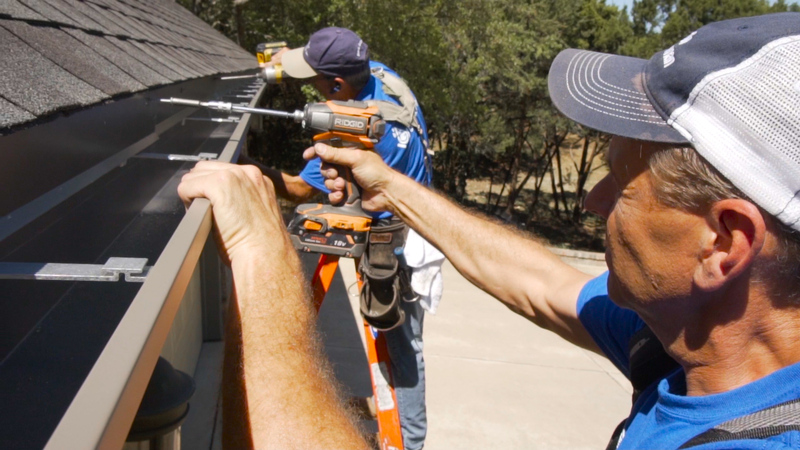 In addition to the best gutter products available on the market, Austin Gutterman will make sure your home is serviced by a master installer of seamless rain gutters. Austin Gutterman uses a Master Installer Program where each installer must work toward, through years of training, written and physical testing. This ensures your home’s gutters will be curated by a master craftsman in the field. We do all the installs ourselves; we never use subcontractors. With Austin Gutterman, you will always get the quality that comes from a master product assembled by a master installer. Set up an appointment with Austin Gutterman to have a free proposal done on your home so we can prepare you for your home’s next best investment, a set of premium seamless rain gutters! Start the process today by calling 512-450-1821 or clicking www.austingutterman.com.